This post is different than my normal Smartsheet related posts. 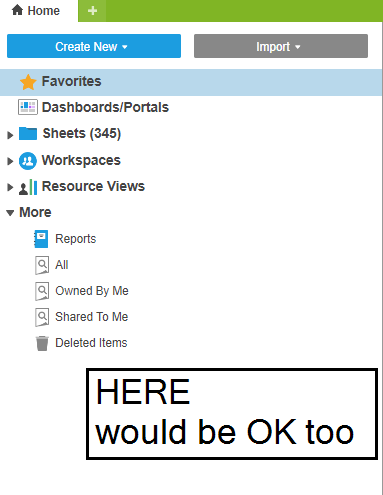 I’m going to try to put down my current thoughts on Smartsheet’s Templates and what’s missing for me. This post can not be all-inclusive, but I hope it helps me consolidate some of things that have been rattling around in my head for a while. The actual enhancement request portion will be highlighted to differentiate them from the rest of the text. 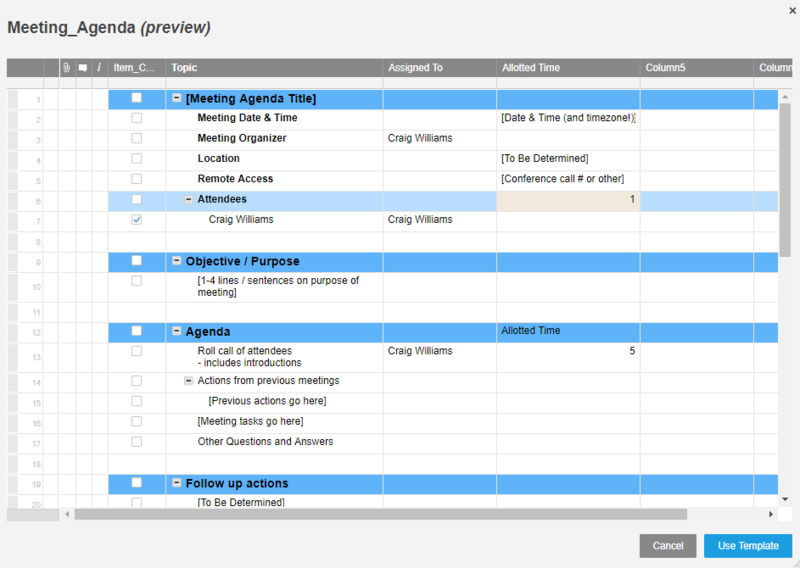 For reference, here is the Smartsheet Help Article on Templates. 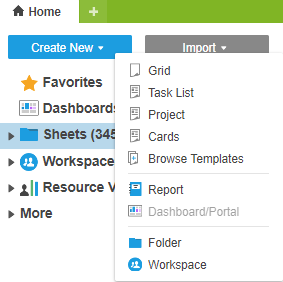 Smartsheet has two major types of templates: PUBLIC and USER CREATED. Maybe more, but these are the ones I am aware of. PUBLIC templates have two different flavors / sub-types, at least they do to me.I think they are treated in the same way on the back end, but my testing with the API has not yet been conclusive. The first five items in this menu are all Sheets and will be the ones I focus on in this post. These are different in a few ways: number and types of columns, default views, whether Dependencies are enabled or not. Other than those, and maybe other minor things, there is no CONTENT. The second sub-type are pre-built Sheets with specific functionality added: columns, formatting, conditional formatting, formulas, and other things that turns a blank spreadsheet into a useful tool. Some of these are more than one Sheet (a Template Set). The Sets are a type of another group of items called Solutions, which I won’t dive into here. USER CREATED are just that, Sheets created by the end-user and saved as a Template object. Templates can be shared to other users and new Sheets created from them. Create new Sheets based on standards, conventions, functionality developed for or by my users. 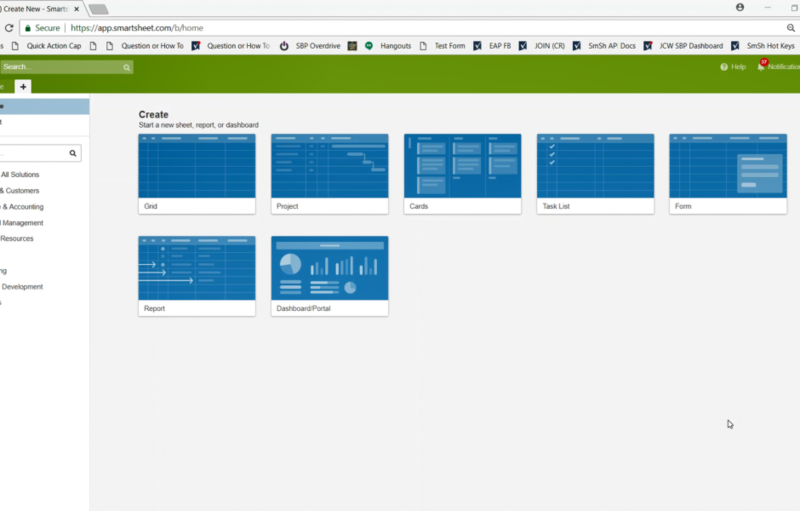 I probably use Templates for the second reason more than the first because in order to create a User Created Template Set (or the functional equivalent), the user needs to have active Sheets, preferably in a Folder or Workspace. I’m hoping that some of these Enhancements might change that. The Help Articles on Templates reveals the first problem with User Created Templates. Where are my Templates? Even more importantly, where are the Templates created by the other users? I’m not saying I can’t find them, I’m saying it ain’t easy. 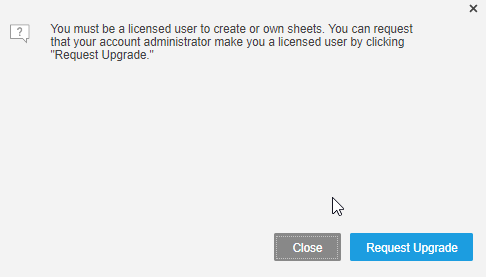 Allow System Admin to add User Created Templates to an Account Location. Somewhere easy to find. Somewhere obvious. I would want this functionality to be the domain of System Admins because they already have access to everything, even if they don’t know it (through the API), and I wouldn’t want every Admin to be messing with Account wide functionality. But it should be Account wide. Another place to show Templates would be in the Home | More section. This should NOT be the Account wide templates, but rather only the Templates to which the user is shared, like the rest of the items here. If the Object type was sortable/filterable in the All, Owned By Me, Share to Me categories, that would be a help, but I’d rather split them out like the Reports are. Enhancement Request #3: Replace “no-frills” versions with User Created version. Allow System Admin to replace “no-frills” versions of the Sheets (and Dashboard) with Account wide templates. This would be similar to other platforms that allow a “branding” template to be developed and used from the “New” button instead of a blank sheet or document. I have my own version of the Task List sheet and Project sheets but it is more convenient sometimes to just click “Create New”, even though some of the functionality I may want to add later is not there. Sometimes temporary / throw-away Sheets end up living past their sell-by date. To be clear, this is a REPLACEMENT, not additional versions of these templates. I want to force the end-user to use only approved versions of the templates. Allow System Admin to disable / restrict access to the Public templates. In order to more easily enforce standards, removing temptation to utilize a different version of a template might be useful. 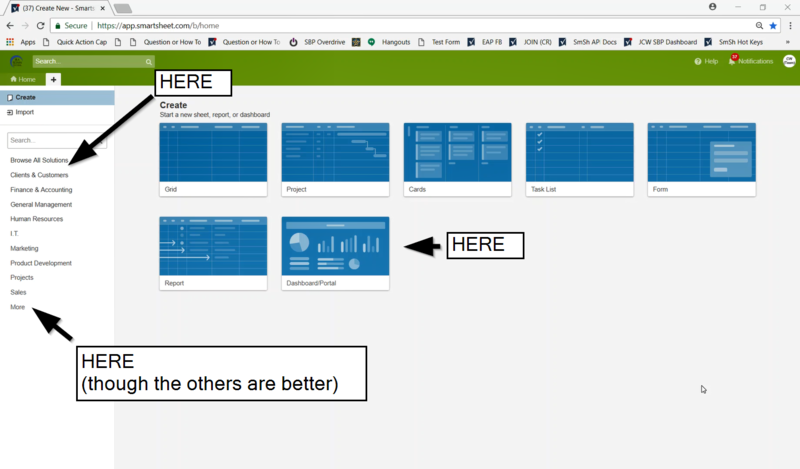 I’m not fully convinced on this one, as experimentation with new Templates from Smartsheet will sometimes lead to new user-created templates. which tells me that something likely needs to be done to limit what is not useful to the end-user. Building a PMO / Account wide system to enforce standardization. Sheets derived from approved templates that are different than the ‘master’, either for updating (via an approval process) the master or pulling the changes to the sheet. Adding Sheet functionality to a continuous improvement process. I’ve got a few other ideas percolating related to Templates that I haven’t gotten consolidated into coherence yet (I’m assuming the rest of the above is). I’ll update this if it seems worthwhile. I’ve identified a few things that I’d like to see on the API side elsewhere. I’m going to post this to the Community and hope to solicit responses and feedback there. Please join the conversation if any of this would something you’d like the Smartsheet developers to consider.